“Every day is Earth Day in the Shangri-La’s Kitchen” as Shangri-La Group of Hotels and Resorts worldwide launched their “Rooted in Nature” campaign on 22 April 2015 last month. It’s a part of the group’s initiative to maintain culinary sustainability, thus raising the awareness on consuming freshly farmed food which had gone through strict international standard requirements without harming the environment. 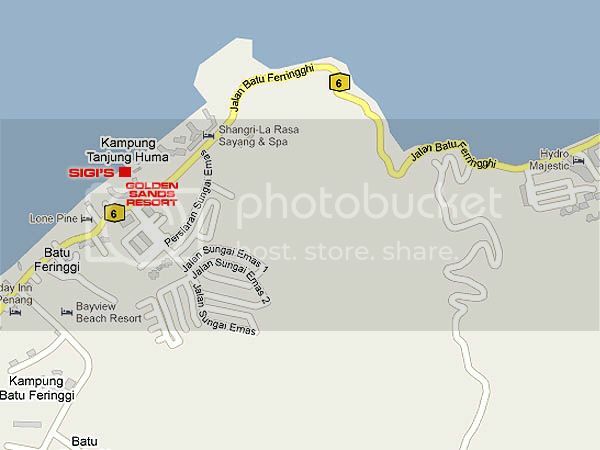 Today, Shangri-La’s Golden Sands Resort, Penang had invited a special guest to join them in the journey of “Rooted in Nature”. He’s none other than the Iconic American Chinese Chef, Chef Martin Yan. Most of us have grown up with Chef Martin Yan’s award winning cooking show, “Yan Can Cook” with his catchy phrase line of “If Yan can cook, so can you!” Chef Martin Yan simply made cooking looks so easy, especially on how he uses his customized knife to prepare ingredients with barely any effort. I’ve tried using his knife and it indeed had that balance, lightness and sharpness as claimed by the chef himself. 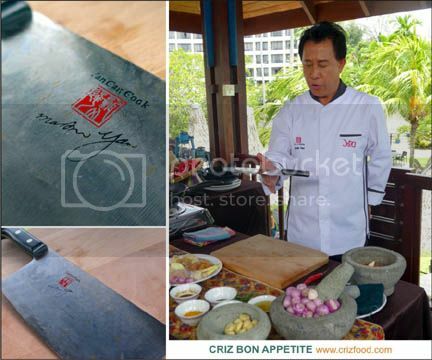 Chef Martin Yan sure knows his kitchen utensils’ precisions well. 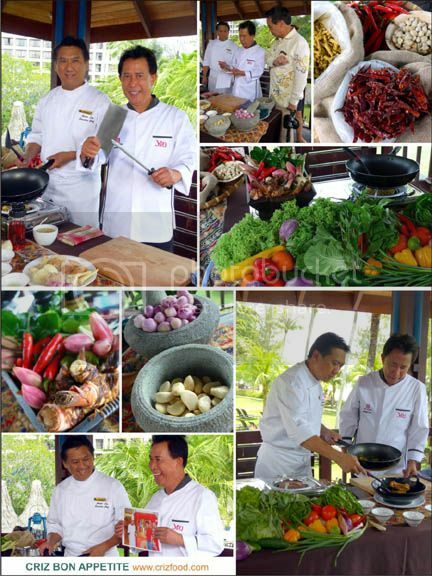 Chef Martin Yan who is currently in Malaysia for the filming of the upcoming TV Program, “Taste of Malaysia”, to be aired somewhere in late third quarter of this year, paid a visit to GST Group Fish Farm, one of the sustainable food partners of the resort offshore of Pulau Jerejak, Penang, to discover the source of sustainable seafood. According to him, we are lucky to have such fresh fishes of such huge sizes easily available for our consumptions unlike in USA. He later teamed up with Golden Sands Resort’s Executive Chef, Chef Adrian Lim, to pep up a delicious Nyonya Curry Kapitan Fish dish with their morning’s fresh catches. 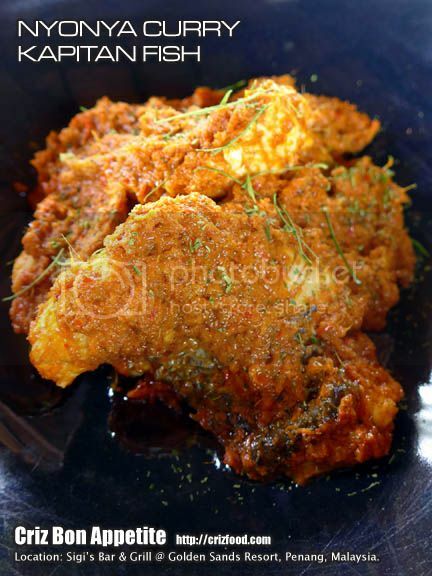 The recipe used fresh sustainable seafood, combined with some organic and locally produced herbs and spices. We also had a try-out on some of the “Rooted in Nature” dishes at the resort’s Sigi’s Bar & Grill (the other Rooted in Nature participating eatery is their Garden Café). Diners can identify the Rooted in Nature dishes by spotting a “pea shoot” logo printed alongside the dish description. 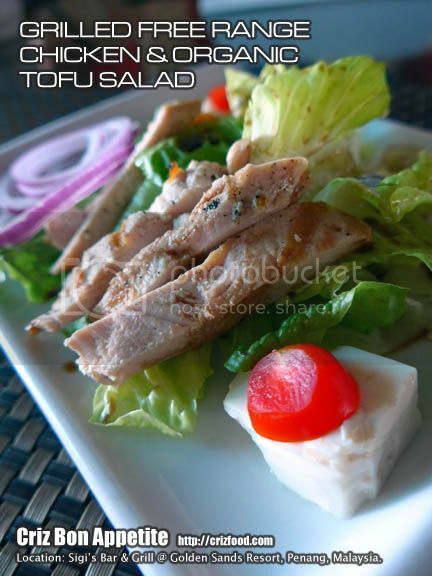 We started off with their Grilled Free Range Chicken & Organic Tofu Salad. It was truly a well balanced diet with lots of fresh romaine lettuce and onion rings dressed with balsamic vinegar, topped with some perfectly grilled yet juicy free range chicken breast meat and accompanied with some organic tofu cubes. It was indeed a great salad before your main meal. 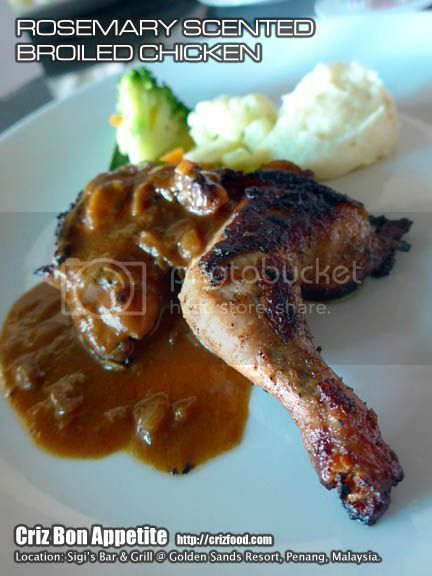 As for main, we tried out the Rosemary Scented Broiled Chicken served with vegetables of the day, mashed potatoes and brown jus. The half free range broiled chicken was just the right size to give that flavorful yet juicy impact. 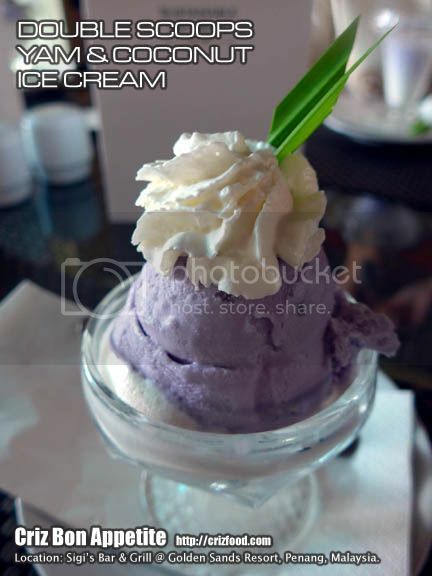 Lastly, we were served with their Double Scoops of Yam & Coconut Ice Cream topped with whipped cream. I must say this was the heaven of the day as it was not just any ordinary ice cream but one with real yam bites. Combined with the creamy texture of the coconut ice cream, it was a hit amongst us. 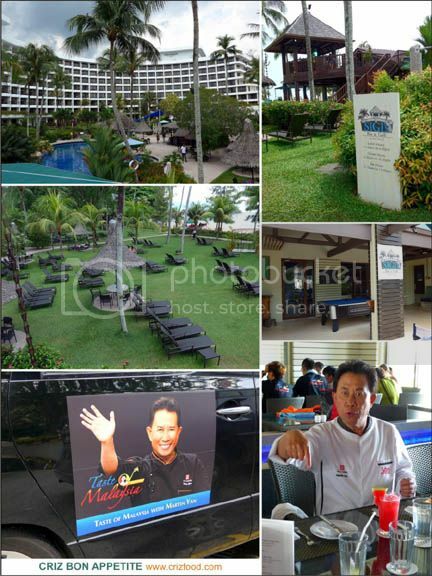 Overall, it was a fun outing having to catch up with Chef Martin Yan once again on his Malaysian tour. At 66+ years old, he’s still as comical and humorous as he was on the TV shows. As for the Shangri-La Group of Hotels and Resorts worldwide, I would want to wish them all the best in achieving their goal of serving 75% more sustainable sourced food on the menus within the next 5 years.